New gardeners looking for advice can find a lot of good, bad and - sometimes - ridiculous information available in the media (television, books, magazines and the internet), but how do you sort good from bad? We answer gardening questions at garden shows, horticultural societies and in a national newspaper and here are a few of the most common myths we come across. The use of chemicals is always controversial, but remember that the UK has some of the tightest regulations on manufactured garden chemicals in the world and the ones available here have all been rigorously tested over a number of years before gaining approval and being introduced onto the market. More and more such products are being based on natural ingredients (such as plant extracts and mineral oils) and have been approved by organic growing associations. A chemical, used appropriately and in good time, can prevent a problem escalating to the point where the plant or crop is lost. All products should be used exactly as stated by the manufacturer on the pack and any warnings should be heeded. In some cases, they work well, but should be used properly. Companion and sacrifice plantings are very useful around edibles. Comfrey tea, however, should never be used as a foliar feed over the edible leaves of plants (e.g. lettuce and cabbage) as its residue has been found to be carcinogenic. Never use a plant-based remedy without doing research on its properties. Predatory insects and eelworms (nematodes) are a natural means of pest control and are very effective as long as the instructions are followed. Possibly, but it will also damage the leaves of the plant and, in extreme cases, may kill it. Washing up liquid is designed to remove grease from plates and it does the same to a plant leaf, stripping off the protective, waxy outer coating and leaving the leaf vulnerable to scorch. This advice was based on old-fashioned insecticidal soaps and is frequently advocated by organic gardeners, but it does not take into account that this is an entirely different product. Blue slug pellets used to contain the chemical metaldehyde, which was toxic if ingested, although the evidence regarding birds is largely anecdotal. Most of the pellets available today are safe to use around children and pets, but as with anything else, they should be used according to the instructions on the pack. This is usually one pellet every 10cm, not laid as a mulch. If you wish to be certain, cover a small number of pellets with a rounded piece of broken terracotta pot: the slugs can get to them, but pets, birds and children cannot. 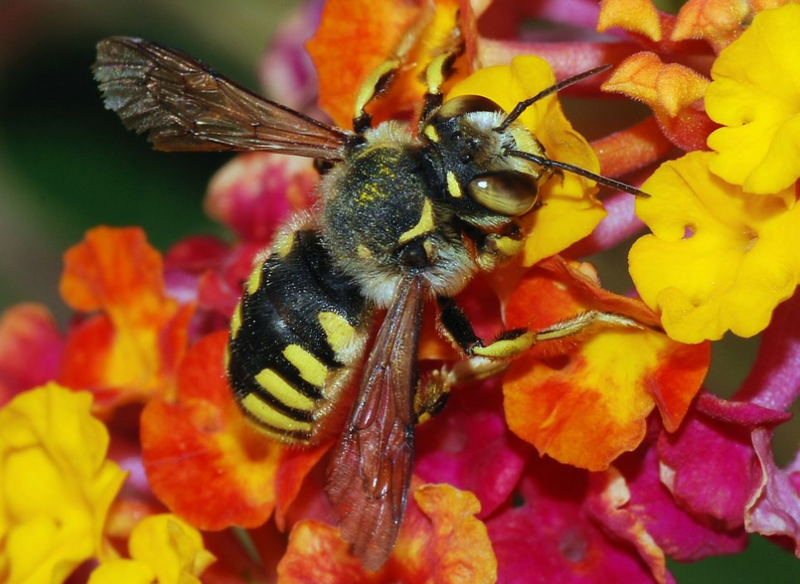 The method of action of today’s chemicals tends to be adapted to the target pest, unlike older products like derris, which would kill any insect they came into contact with, including bees. However, it still makes sense to take precautions by not spraying until evening (when bees are less active) or during blossom time in spring. If your garden contains a wide range of plants and habitats that encourages birds, insects and animals then this is possible. However, this takes time and nature - and especially the weather - means it can never be guaranteed. There may be times when you can lend a helping hand to allow the balance to reset. Peat is a natural material that is ideal for growing plants in. It is harvested in many parts of the world, but is largely burned as fuel. In Ireland, less than 10% of the peat harvested goes towards growing plants and the rest is burned in power stations. The remainder of the Scandinavian peat we used to use in the UK is now burnt off, as it has to be harvested in order to stop the peat bogs encroaching on more lucrative timber production areas so, ironically, reducing our peat use has actually been more damaging to the environment than using it to grow carbon dioxide-absorbing plants. Peat-replacement products, based on materials like coir, are improving all the time and are increasingly offering an alternative for growers who do not wish to use peat. If you do this, you will be cutting off many of the buds that would flower in spring, including fruit buds. The practice began as a means of keeping the gardening staff busy during the winter months, but is actually bad for some plants. Fruit trees like apples and cherries are best pruned in summer, when the fruit has set and the chance of fungal spore infection is at its lowest (it is highest in winter). Prune plums immediately after harvest. Wisteria and grape vines need pruning twice a year: once to reduce the longest shoots and again to create “spurs” for next year’s flowers.